For after-dark drama at its most daring. Illamasqua False Eye Lashes are handmade and available in a range of styles and colours to create different impacts – from the stunning and dramatic to the romantic and sensual. Apply False Eye Lashes in 13 using the latex-free glue provided and combine with Illamasqua eye colours for eyes that hypnotize. Water (Aqua), 2-Ethylhexylacrylate, Methyl Methacrylate, Ethylacrylate, Methylacrylate-Acid. Stop use if Irritation Occurs. I love these. They are very dramatic and look great. 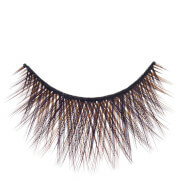 These are great lashes, Thick and Long perfect for creating a cats eye. 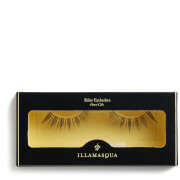 I'm not great at applying eyelashes, but these are so easy to apply and look so glamorous. Plus, since they don't sit across the whole lash line (more 3/4 of it), they don't look too heavy and feel more comfortable when wearing. 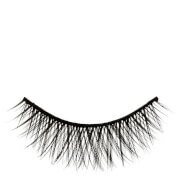 I save these lashes for special occassions, and people always compliment them when I'm wearing them. So thick and long! Angled outwards to give your eyes a cats-eye effect so you could choose not to line your eyes if you're in a rush.